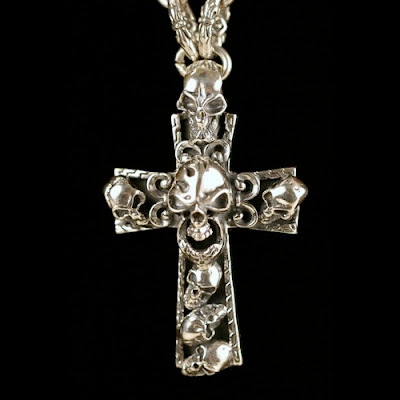 Mr Skull N Roses: How did you get into the SILVER business and what inspired you to start Tripple Dagger Jewelry? 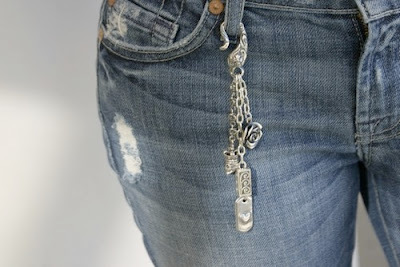 Aimee Edelstein: I have loved silver jewelry ever since I was a little girl. 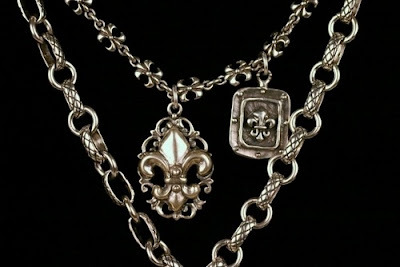 My mom always had a huge collection of silver jewelry that I loved to play with and wear around the house. My mom and I are both huge shoppers. 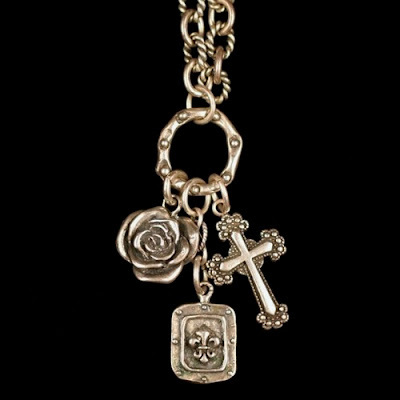 We love seeing new lines and appreciating craftsmanship of a beautiful piece, whether its jewelry, or apparel, or accessories. Triple Dagger started almost by accident, one day I found this cool bead supply store and they had some sterling silver chains and pendants. I bought a few items and made an amazing necklace. I wore the necklace to work and got so many compliments on it; I then showed it to my mom and we decided to start Triple Dagger. My mom is an interior designer, and I've worked in the fashion industry since I was 18, so we both have a real flare for creativity. I was always into painting and drawing, and so when I make a necklace, I try to make it as if its a piece of art. Mr Skull N Roses: We like your tattoos! How did you get started and what kind of tattoos do you like most? Aimee Edelstein: I got my first tattoo when I was 14 years old, a little moon and star on my leg. Ever since then I've been addicted! I've got 11 tattoos total. My favorite ones are definitely the Alice in Wonderland ones on my arms. I've been collecting Alice books for about 6 years. I've got 16 different ones, including the original Lewis Carroll book. My three Alice tattoos are illustrations of Alice, the White Rabbit, and the Red Queen from the original Lewis Carroll book. 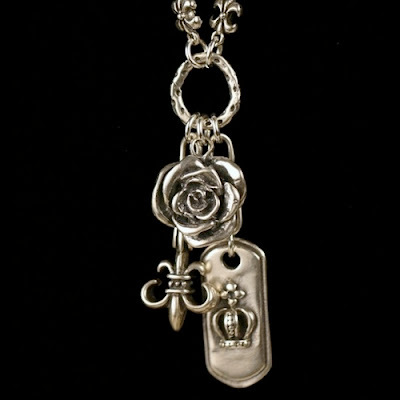 Mr Skull N Roses: What type of customers purchase your jewelry? And what do you see in store for Tripple Dagger in 2010? 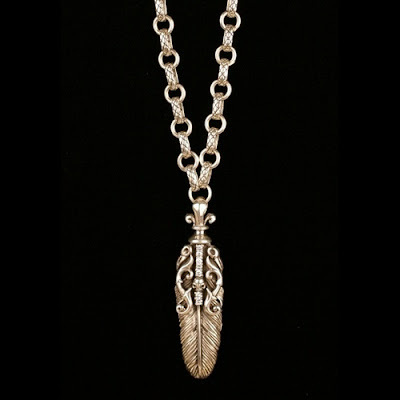 Aimee Edelstein: There is a wide variety of clientele who purchase Triple Dagger jewelry - men and women ranging from age 16 - 60. In 2010, I see Triple Dagger growing as a company, being sold in many different, popular California boutiques and used in many fashion photo shoots. 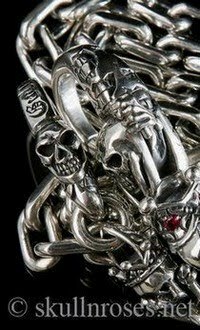 Mr Skull N Roses: What are some of your best-selling pieces? Where can customers purchase your jewelry? 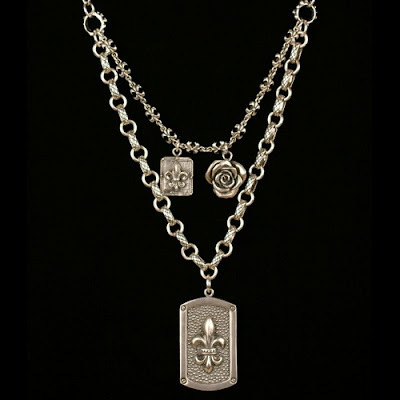 Aimee Edelstein: We've got many "best sellers" however, the most popular piece is my "layered fleur de lis dog tag necklace." I think it's been so popular because it transcends trendiness and age. It's just a special piece that absolutely everyone loves, women AND men. 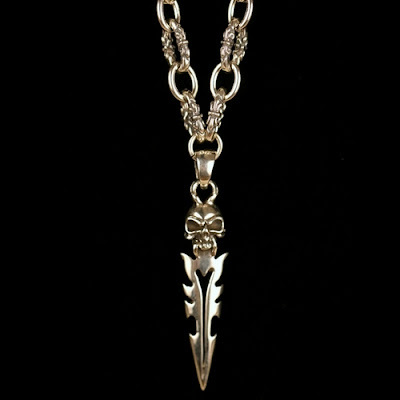 Customers can purchase my jewelry directly from my website, www.TripleDagger.com. Triple Dagger is also currently being carried in two Southern California locations, Cure Malibu, and Couture Extensions in Santa Monica, with more boutiques coming soon. 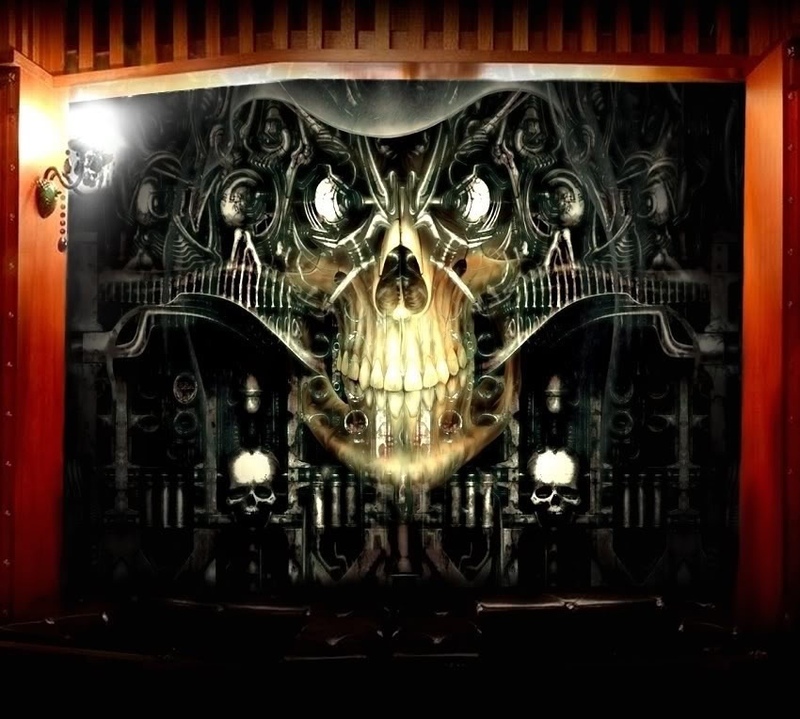 Mr Skull N Roses: Any special people that you would like to say thanks to or give a shout out? Aimee Edelstein: There are so many people that have helped me launch Triple Dagger. First of all, my Mom (and Triple Dagger business partner); without her none of this would be possible. Lisa Benya and Krista Hagen, the first two people to carry my line in their stores, and Jason Cavitt, Triple Dagger's graphic designer. Nicole Cahn, Michelle Murphy, and Pat Padget, my regional sales reps. My dad, Jack, and my boyfriend, Justin, for their love and support. And of course, all my customers and everyone who believes in me! 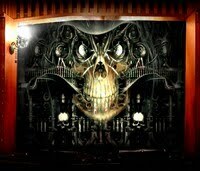 Mr Skull N Roses: Thanks for your time, Aimee. Best wishes and keep us updated with new events!